Container Log Home joins together a standardized modular form with the unique and organic. Trees are harvested, cut to size and loaded into shipping containers for transport. 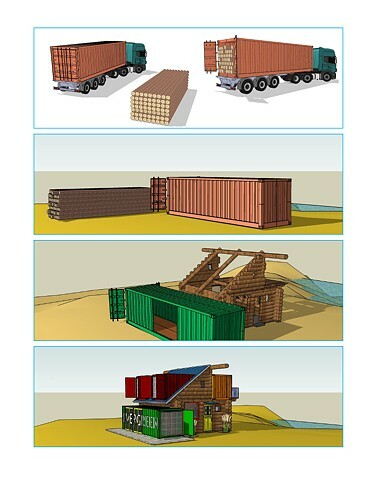 At the building site logs are assembled and the empty container are modified. The completed home is the marriage of the mobile; the intermodal transport container and the fixed; the tree; the home.